Plus points if you got the reference! 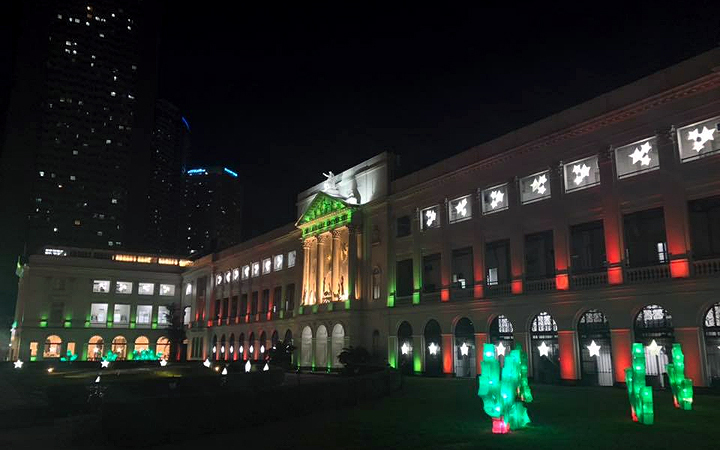 (SPOT.ph) De La Salle University-Manila's school colors may be green and white, but the Archers are more than willing to switch white for red to celebrate a festive Christmas season. 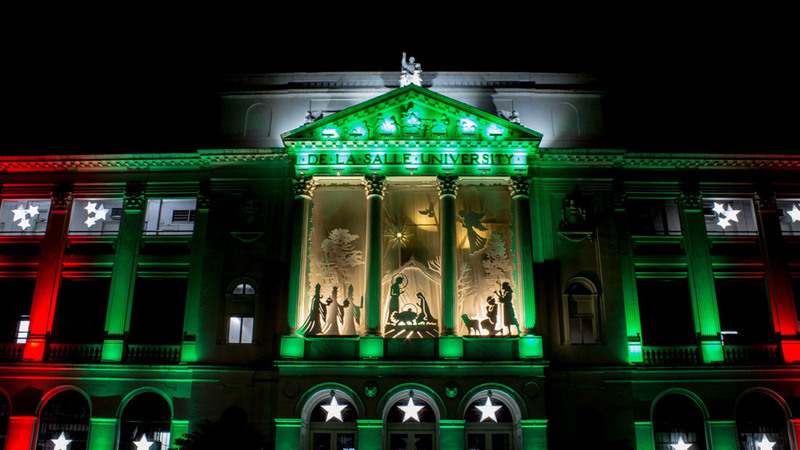 It's hard to miss St. La Salle Hall's white-washed walls all lit up with the classic colors of the Yuletide season, which was revealed during the Animo Christmas Celebration and Christmas Tree Lighting Ceremony on December 4. 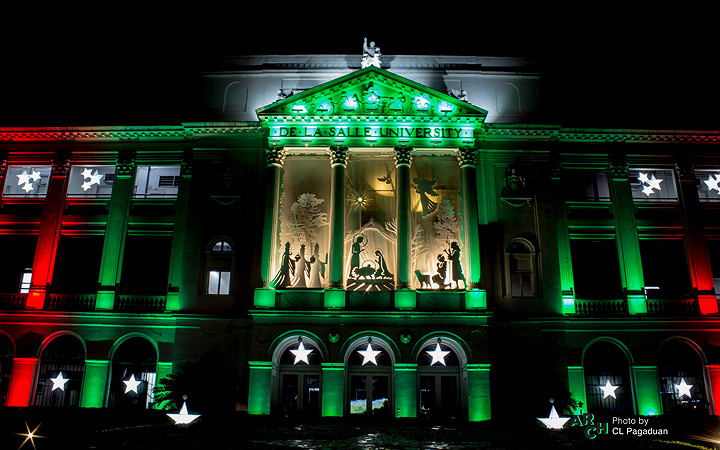 St. La Salle Hall, an H-shaped four-storey building at De La Salle University-Manila (DLSU), is known for its neoclassical design by renowned Filipino architect Tomás Mapúa. It was erected in 1924 and anyone passing by the school along Taft Avenue can see the majestic structure with a spacious courtyard. 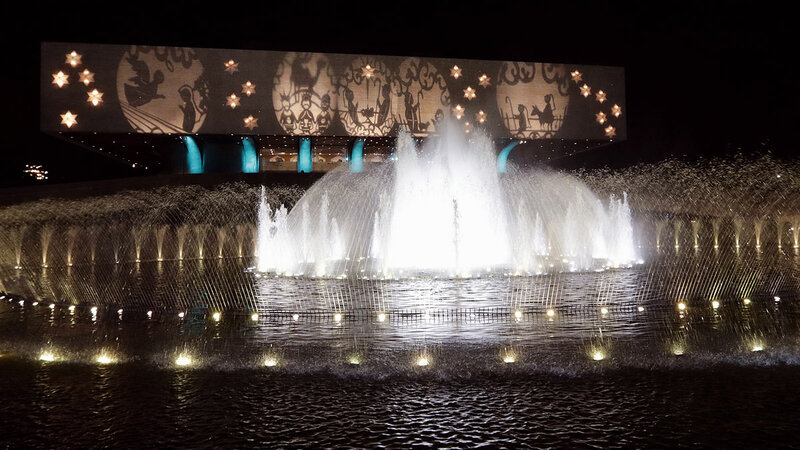 In 1988, however, the façade was hidden in plain sight after the construction of the Marilen Gaerlan Conservatory. Finally in 2014, the former study hall was demolished to restore the glory of the university's most historic building. 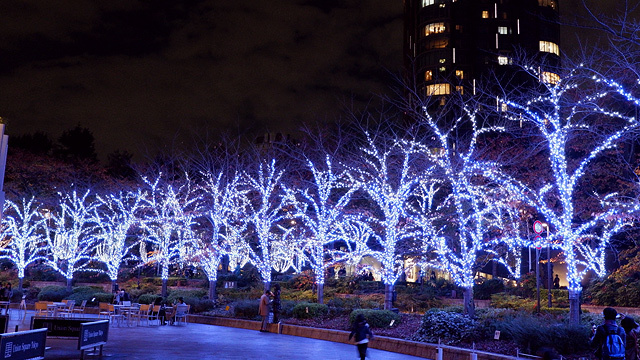 Nowadays, its all-white walls are awash with colorful lights—an example of which was the university's #RedWednesday campaign on November 29. It was an effort to "spread awareness about Christian persecution worldwide and to honor those who have been persecuted for their faith," not a way to support the UP Fighting Maroons as claimed by the people of the Internet. Note: The phrase “a shield of green and white” is from DLSU’s Alma Mater Song.